We scored a nice double at Monmore on Saturday evening with Skyfall Venom and Ruttman Dynamo both winning their Lawrence Jones Memorial Festival races. 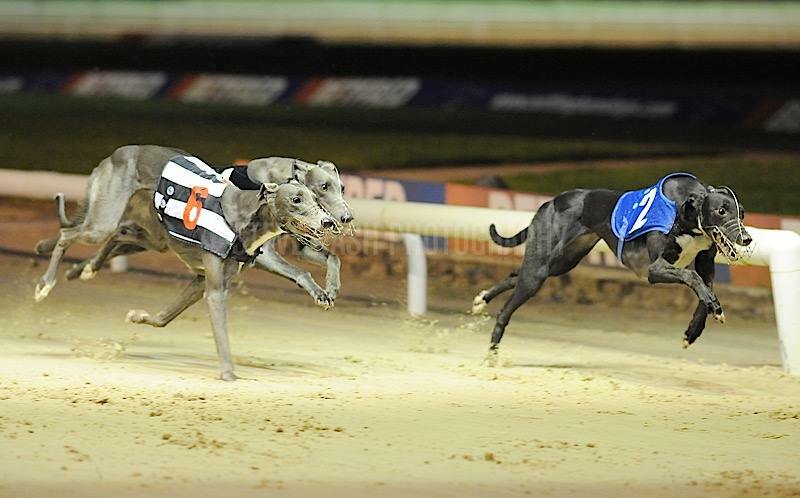 Venom landed the Open 264m contest, out trapping his opponents, he took command of the race into the opening turn, going on to win in 15.36 by a length. Ruttman Dynamo landed his first ever open race when he produced another display of fine early dash to lead all the way, holding off challengers round the final turns he pulled on again to win by and length and a half in 28.48. Bred here and out of our own brood Bleisce Charm the whole litter have been hugely successful – as we predicted they would be at schooling stage! Her next litter to Roddick are approaching 8 months old and are thriving, fingers crossed for more like her first litter!